Simple Minds and OMD will appear on stage together for the very first time when they perform Kraftwerk's "Neon Lights" on their forthcoming UK tour which kicks off at the Newcastle Metro Arena on 30th November. 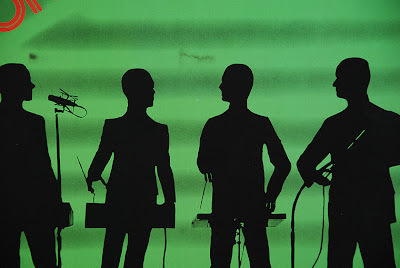 The news follows OMD's recent appearance in the BBC 4 television documentary 'Synth Britannia' that chronicled the rise of electronic and industrial pop music in the mid 70s and early 80s. "Neon Lights," originally released on Kraftwerk's 1978 album "The Man Machine," will be performed together by OMD and Simple Minds during Simple Minds' set on every date of their UK tour. Both bands have previously performed Neon Lights in their own right.